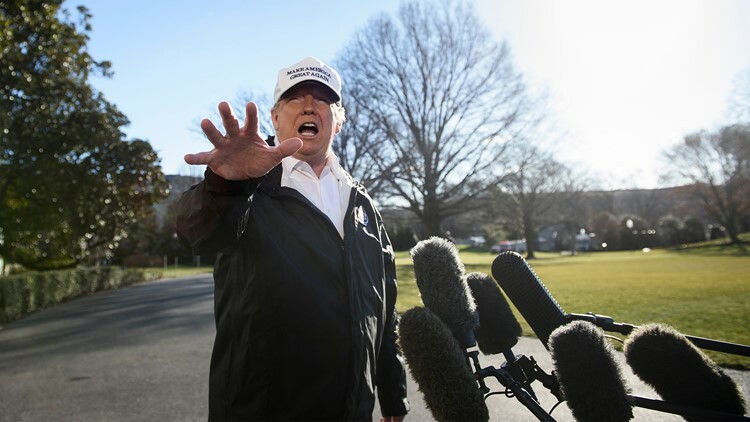 US President Donald Trump speaks to the press as he departs the White House in Washington, DC, on January 10, 2019. The Times says it's unclear whether Mueller is still pursuing it. WASHINGTON — The New York Times reports that law enforcement officials became so concerned by President Donald Trump's behavior in the days after he fired FBI Director James Comey that they began investigating whether he had been working for Russia against U.S. interests. The report, published late Friday, cites unnamed former law enforcement officials and others familiar with the investigation. Special counsel Robert Mueller took over the investigation when he was appointed soon after Comey's firing. The Times says it's unclear whether Mueller is still pursuing it. Trump's lawyer Rudy Giuliani told the Times that he had no knowledge of the inquiry but said that since it was opened a year and a half ago and they hadn't heard anything, apparently "they found nothing."